Raleigh, N.C., has a well-established reputation for being home to smart and passionate entrepreneurs. Lately, Raleigh makers and artists have found homes in a batch of new downtown retail spots, designed to shed light on emerging creatives both locally and beyond. "Raleigh is so vibrant in the sense that there is this really great energy and people are moving here to make things happen," Ana Maria Muñoz, owner of local store Port of Raleigh, tells us. "You can do your thing here, whatever that thing is. You can do it and do it well and other people will get excited about it... and Raleigh has some big names in the small business world." Muñoz certainly fits on that list. Open for just under a year in downtown Raleigh, Port of Raleigh is a home and lifestyle store that carries handpicked, design-driven goods from around the world. Designs that are timeless but modern, striking but practical. Items for your home that you can, and should, love—a major belief of Muñoz&apos;s. "My philosophy is, no matter how temporary your space is, even if you don&apos;t own your home, you should love the things in it," she tells us. Step inside Port of Raleigh and you&apos;re likely to find Muñoz eager to tell you about products adorning shelves and walls. It&apos;s an incredibly-carefully curated set of items, some of which Muñoz has been keeping a running list of for years, long before the opening of the Raleigh store. You&apos;ll find mugs, stepstools, clocks, pens and notepads, side tables, vases and more from places around the world—Japan, Scandinavia, small design studios throughout the U.S. and other spots across the globe. In most cases, Port of Raleigh is the first store in the area to carry any of these products. The passion for form and function is obvious. "It&apos;s a new kind of stuff. It&apos;s a different aesthetic than people are used to seeing in this area. And that&apos;s the goal... to bring exciting new things to a very exciting, growing city," she says. 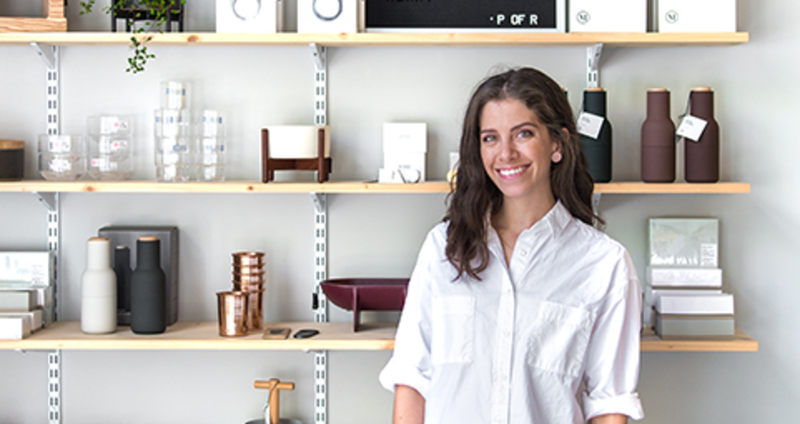 With the holidays just around the corner, we set out to get some specific recommendations from Muñoz on gift ideas—in her own store plus other places she loves to shop in downtown Raleigh. Hasami porcelain mugs ($8-$75): Muñoz loves these mugs, made in the village of Hasami in Kyushu, Japan, because they blend tradition with modern tendencies and aesthetics. Constructed with a mixture of materials unique to the Hasami area (where they&apos;ve been used for more than 400 years), simple lines and great texture give these mugs tons of appeal. They&apos;re sold individually—with small, medium and large sizes available—in boxes so they&apos;re ready to gift. Perfect for a housewarming or wedding gift. Native Union charging cables ($35-$40): These charging cables for Apple products solve a problem that many people have. At 6.5-feet and 10-feet long (your iPhone comes with a three-foot cable), you can finally charge your phone without having to rearrange your furniture to be close to an outlet. They come with an anchor to keep them from constantly falling on the floor when your phone isn&apos;t plugged in, too. Plus they look great and the prices are comparable to Apple&apos;s less- functional cables. Gather vases ($20-$30): When it comes to decorative accent pieces, vases serve a beautiful function, Muñoz says. These frosted vases from Gather, a relatively new design studio in New York, can be bought separately or together to create all types of arrangements in a number of different rooms in the home. Craighill keyrings ($15): These simple, efficient and durable keyrings would be a great stocking stuffer for anyone. Made by Craighill in New York, they&apos;re stylish and hold "more keys than you&apos;ll ever own." For more ideas on what Port of Raleigh has in stock, keep an eye on their beautiful Instagram account. Holder Goods & Crafts: Another retailer that just celebrated it&apos;s first birthday in downtown Raleigh, Holder Goods carries a jaw-dropping assortment of vintage furniture, artwork and other antiques and hand-crafted goods. "They&apos;ve got a super cool collection of niche books and magazines, you can find something fun for everyone," Muñoz says. Ramble Supply Co.: You&apos;ll find all types of great gift items at Ramble Supply Co. Jewelry, handmade bags, candles and more from makers around the state and beyond. "I love to go in there and get lotions, mask scrubs, lip balms... they&apos;re doing such a great job of curating small batch, independent brands from all over. Nobody else in downtown is doing anything like that," according to Muñoz. 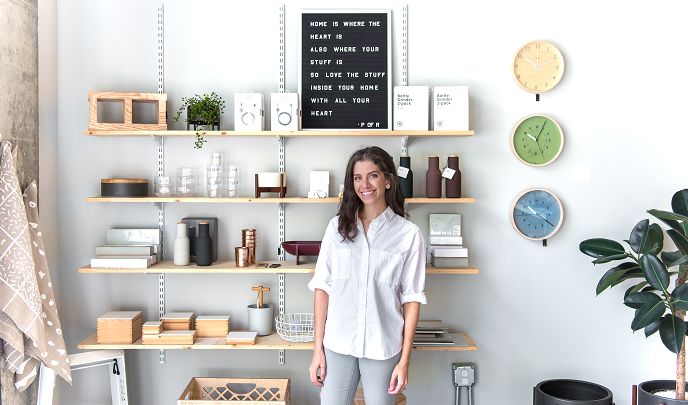 Gather Goods Co.: An intimate, plant-filled gift shop in downtown Raleigh specializing in working with small designers and "micro-artisans," meaning emerging makers and entreprenuers. "Michelle [Smith, owner,] has such a great vision for what she wants to share and how to bring makers together," Muñoz says. "You can easily find a great gift for someone plus something for yourself." You&apos;ll find bath and body products, home and garden goods, candles, jewelry, food items and more. Runologie: This independent, specialty running store has "really built an awesome community," says Muñoz. And that&apos;s true—training programs, group runs and other community events are always happening here. Spend any time in downtown Raleigh and you&apos;re sure to see Runologie apparel being sported by locals. Swing by and pick up a sweatshirt or a hat with their signature "R" on it, or pick up the shoes, socks, shirts or shorts that you need. Major bonus points for you if you stop in the awesome bottleshop, State of Beer, right next door! Vider Chocolate Factory: This bean-to-bar, fully-operational chocolate factory and retail space isn&apos;t just a place to pick up delicious gifts—it&apos;s secretly one of the best (and best-smelling!) places in Raleigh to grab a coffee, tea or hot chocolate and spend some time chatting with friends or knocking out some work at the inside tables or in the awesome patio area. Wylde: A brand new floral shop, with arrangements for every occasion, is also offering gifts and other items related to flowers, gardening and the home. Housed in the front of a co-working space in downtown Raleigh&apos;s Warehouse District, you&apos;ll find candles, bags, T-shirts, gardening tools and other items. Muñoz is super excited about it. "It&apos;s going to be such an awesome place to pick up flowers plus a couple of other items. They have some really great blankets, awesome Japanese cutting shears... it&apos;s just a really cool place."